Buenos Aires Wilton Hotel, Buenos Aires discount hotels and accommodation. 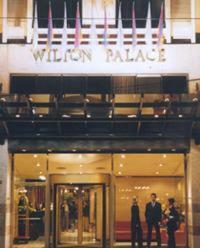 The Buenos Aires Wilton Hotel is a 4 star hotel ideally located for the business traveler and leisure guest alike. The staff is attentive and the hotel’s concierge is on-hand to help you to take advantage of all that Buenos Aires has to offer. For those guests whose schedule is demanding, the Hotel offers 24 hs room service and its business center is open round the clock. View photos, room descriptions and make online reservations at Buenos Aires Wilton Hotel. Save on room prices at Buenos Aires Wilton Hotel, Buenos Aires.